If you have elevated blood sugar levels but they aren't high enough for a diabetes diagnosis, it doesn't necessarily mean your health is in the clear. According to a new US study, people with high blood sugar levels but not diabetes may still have a higher risk of heart and kidney disease than those with normal blood sugar levels. Read on for the full findings, as published in The Lancet Diabetes and Endocrinology. A body of past studies have associated diabetes with a heightened risk of heart and kidney disease. However, results have been mixed on whether slightly elevated blood sugar levels, sometimes referred to as prediabetes, might also increase the risk of heart and kidney issues. Even the term prediabetes is controversial, and many doctors disagree on how to diagnose and treat people with only mildly abnormal blood sugar levels. For the study, the team of researchers analysed a nationally representative sample of 27,971 adults surveyed in four waves from 1988 to 1994, 1999 to 2004, 2005 to 2010 and 2011 to 2014. The team estimated that, by the broadest definition of prediabetes, the number of adults with the condition increased from 56.2m at the start of the study to 78.5m by the end. 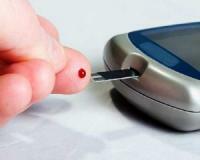 They defined prediabetes as a fasting blood glucose level of 100 to 125 mg/dL or a hemoglobin A1c level of 5.7% to 6.4%. By the end of the study, many people with prediabetes had risk factors for heart and kidney problems – 51% had high cholesterol, 37% had high blood pressure, 24% had smoked, 8% had elevated levels of the protein albumin in the urine (which suggests impaired kidney function) and 5% had reduced blood filtration by the kidneys. “Prediabetes is extremely common,” said lead study author Dr Mohammed Ali, a researcher at Emory University and for the US Centers for Disease Control and Prevention in Atlanta. “Patients who are told they have prediabetes should work with their providers to actively address it and initiate sustainable lifestyle changes and/or medications,” Dr Ali advised. While the study wasn’t designed to prove whether or how reducing slightly elevated blood sugar levels might slash risk of heart and kidney issues, lifestyle changes like a healthier diet and increased exercise might help reduce blood sugar levels and risk for health problems that can accompany diabetes, Dr Ali concluded.